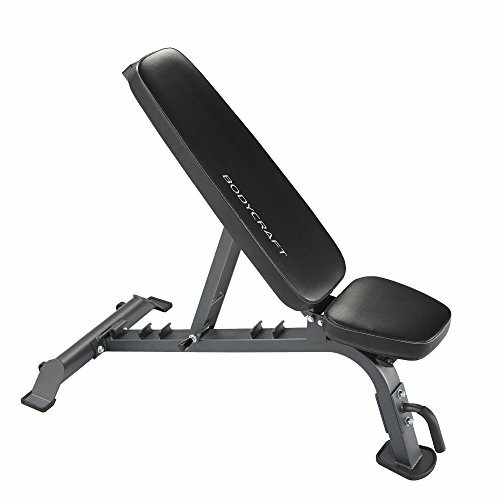 Built like a tank and designed for ultimate versatility, our Commercial F605 FID Bench cannot be beat. Utilizing our easy adjust ladder catch system the user can choose from seven different positions, ranging from a -20' decline* to an 85' upright position. The integrated lift handle and transport wheels allow for simple and easy maneuvering when relocating and storing the bench in an upright position. The 3 point stance and rubber feet ensure that the bench will not rock. Additional attention to comfort, style, and accessory use gives this bench package a huge advantage over all others. 3 point Stance with no-slip rubber feet maintain a rock solid and stable platform on all surfaces. Built for commercial use, rated for 1500 lbs, tested to 3,000lbs without fail. Stylish and Durable Pads feature high density commercial foam topped with a thin layer of memory foam fully wrapped in double stitched industrial grade vinyl. Quick and Easy 7 Position Ladder Catch: Flat, Decline*, and 5 Incline : (-20', 0', 15', 30', 45', 60', 85'). (NOTE:The F605 does not include a leg hold down. The F615 4-Roller Hold Down/Attachment Kit is available for purchase and includes a 4 roller hold down and also accepts the F611 Leg Extension and F610 Arm Curl Attachments.